What the #@! *$#% Was Coke Thinking? I haven’t written in a long time. But I had to write about this. 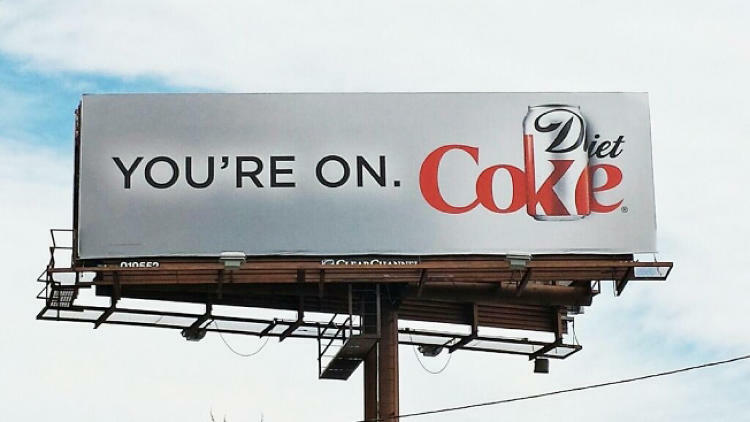 I hate the new Diet Coke campaign. I’ve been walking past the same bus kiosk for weeks now and I keep looking at the campaign is disbelief. I work in advertising. I’m familiar with the thought of getting attention. But I think this crosses the line of taste. This also seems like a bad fit for the brand. I’m a huge fan of the work done by Droga5. Not this. I don’t like this. The fact that virtually every parody online is a drug reference only makes the point – Coca-Cola Company thinks the only way to perform at your best is to be coked up. No – that’s not what the campaign says. It doesn’t say we’re there for you when you’re at your best. It says to be at your best you need coke. The brand has become a punch line. It’s Monday. It’s still too cold in New York. And I’m not feeling like I’m at my best. Maybe I need a Pepsi.